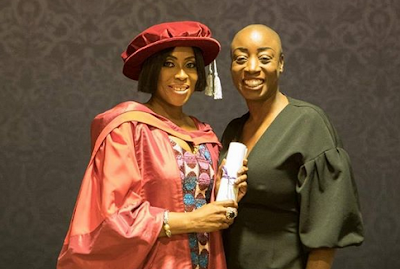 Media mogul ,Mo Abudu has been awarded an honorary Doctor of Arts degree by the University of Westminster. 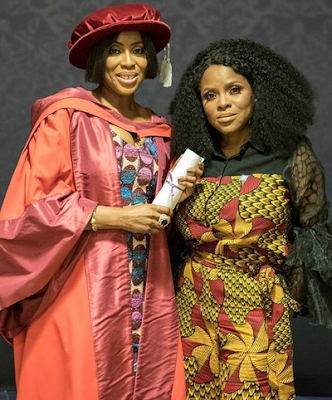 Excited Mo shared the news on I writing; I would like to say a big ‘thank you’ to the University of Westminster for awarding me with an honorary degree of Doctor of Arts, in recognition of my contributions to broadcasting and enterprise in Nigeria. My second honorary degree! 💃💃💃. It is really exciting to be recognised for doing what you love❤💕💖. 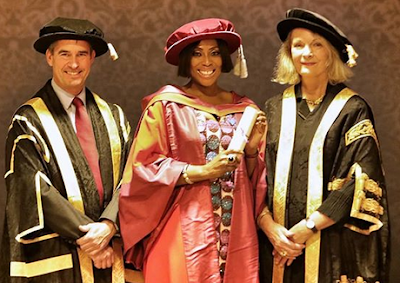 With her in the image is (from left to right): Dr Peter Bonfield OBE, Vice-Chancellor, University of Westminster, Lady Sorrell OBE, Chancellor, University of Westminster.